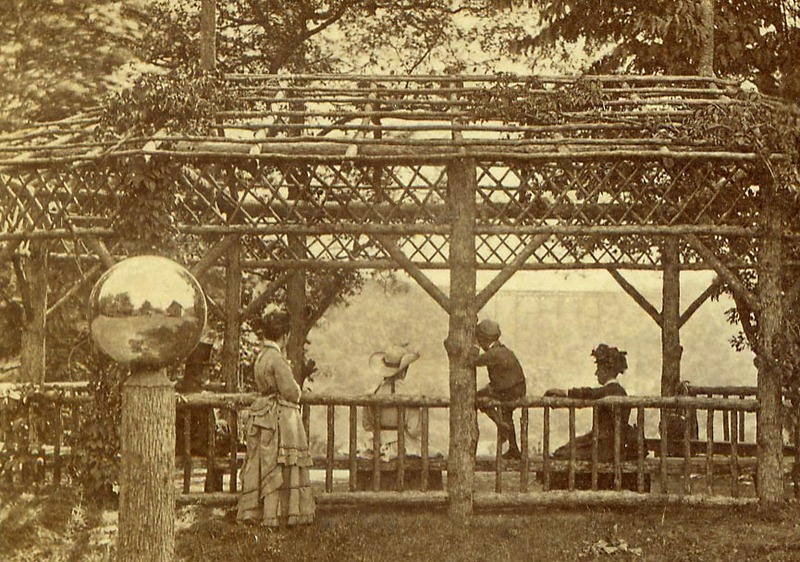 "Globe Reflection, Arbor, Council House Bluff, Portage, N.Y."
"View on the Line of the Erie Railroad"
The view was taken from the Council Grounds looking toward the south through the rustic arbor. The visitors look toward the famous Wooden Bridge, almost hidden in the mist of the Upper Falls. In addition to the opportunity to study the dress of the "typical" visitor of the day, the close up below allows us to see the reflection of the Council Grounds in the Globe. This view is similar to image 173. 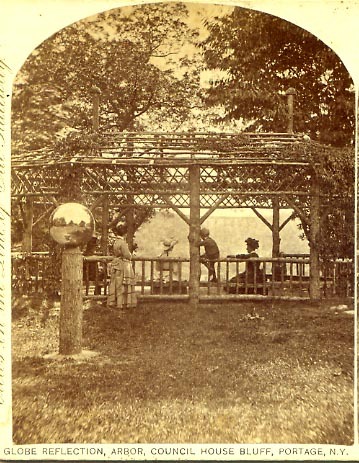 For an earlier view of the Council Grounds, see image 196.